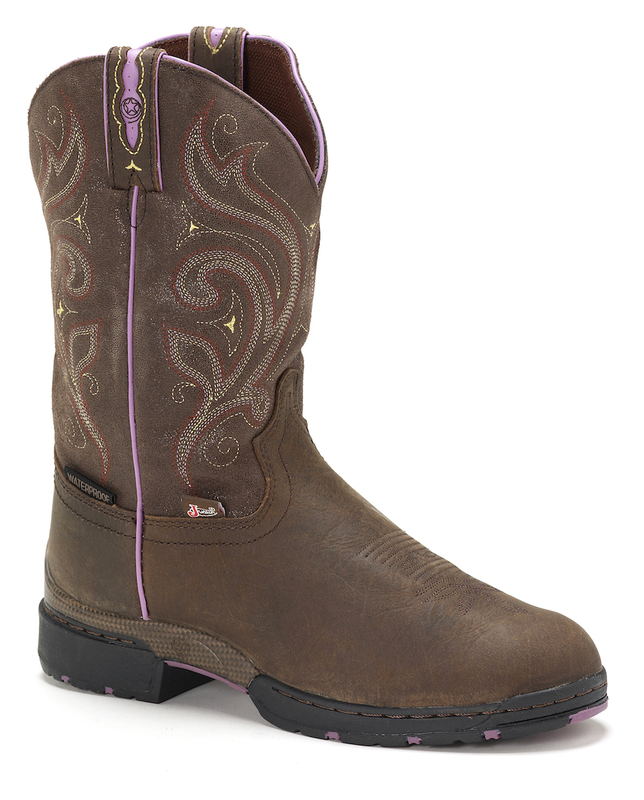 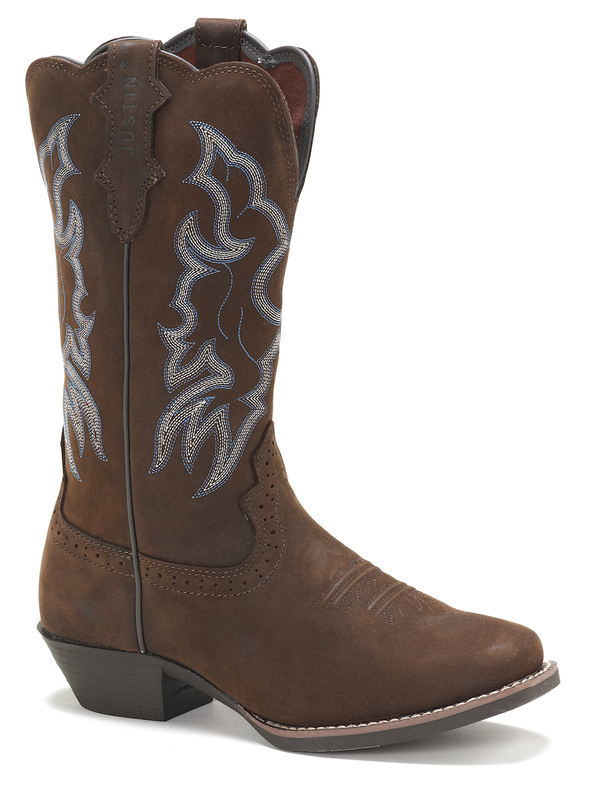 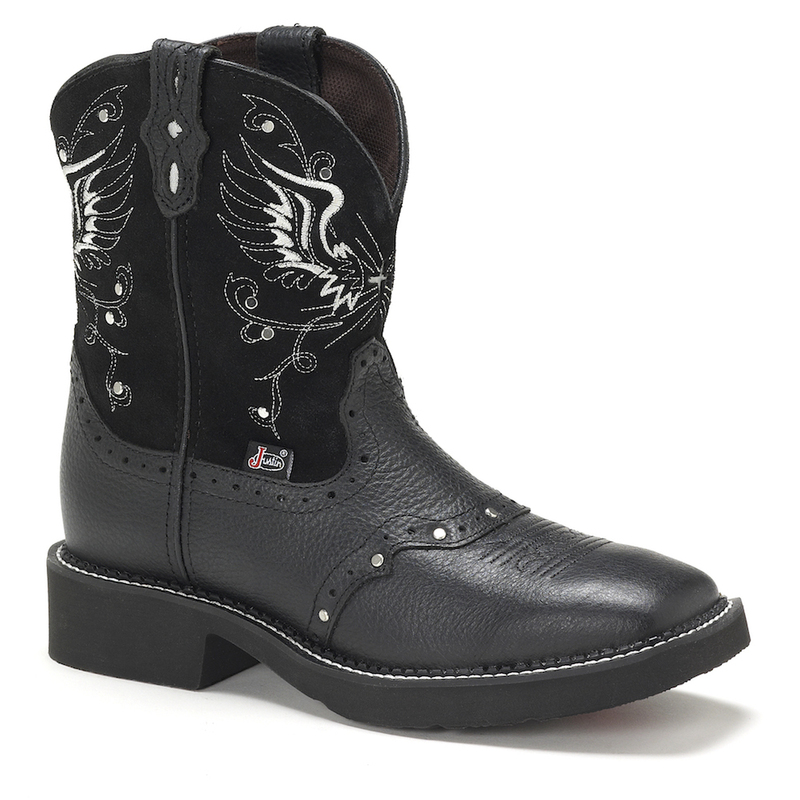 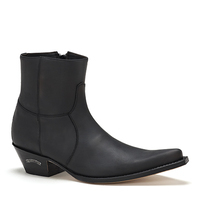 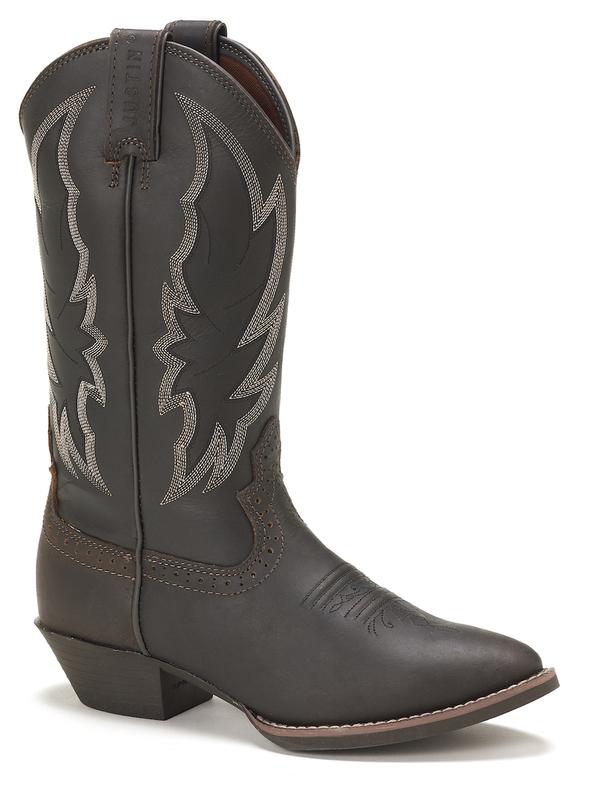 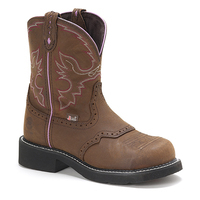 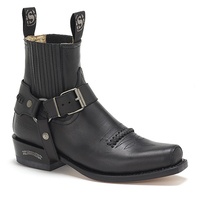 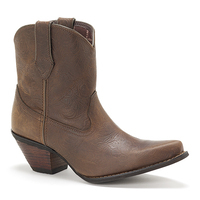 Keep things simple and comfortable in the Sunney Steel Toe 11-inch tall Women's work boot. 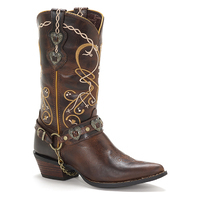 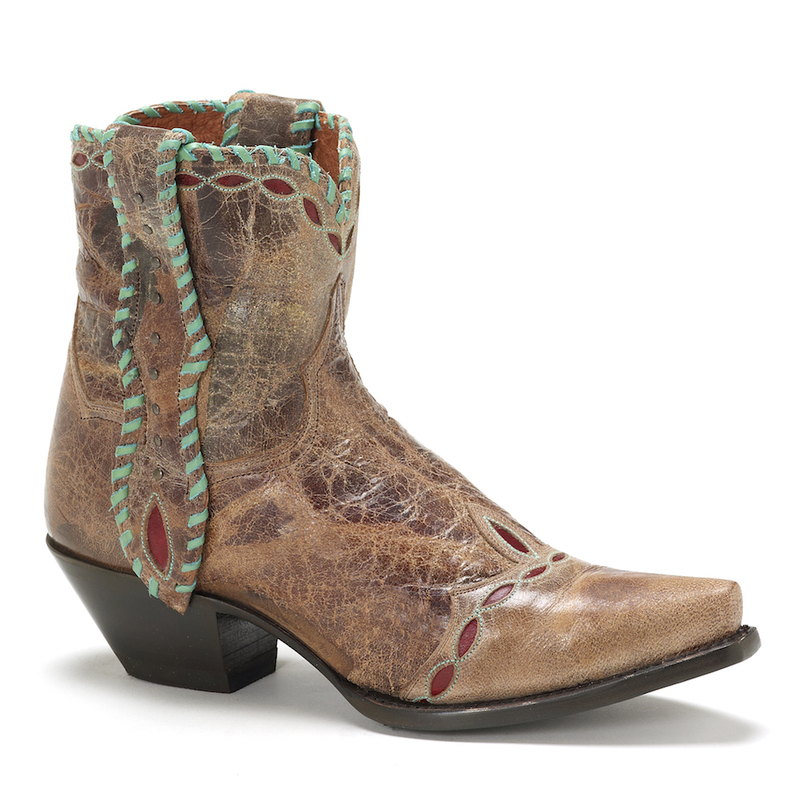 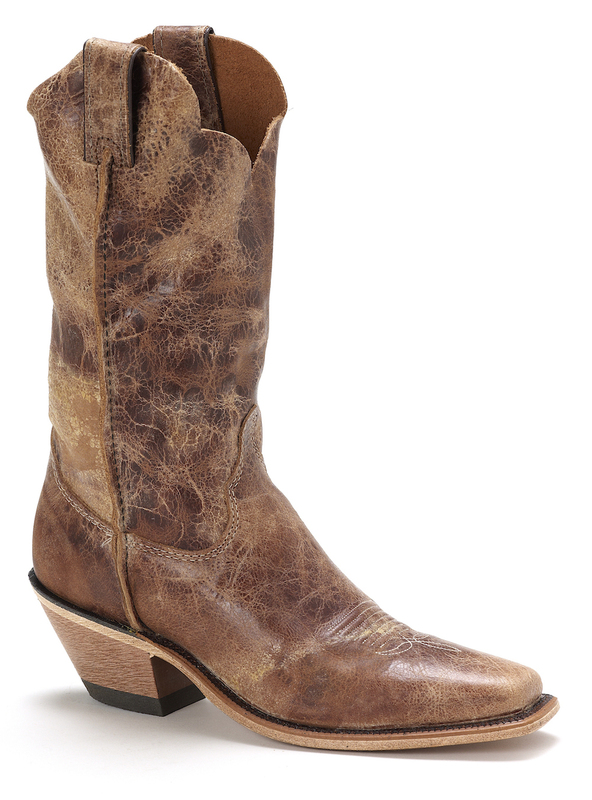 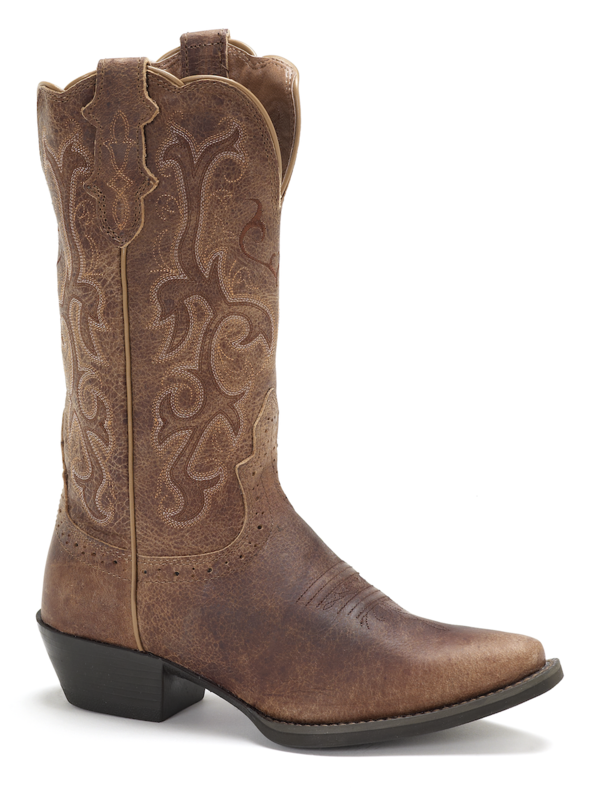 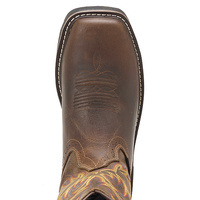 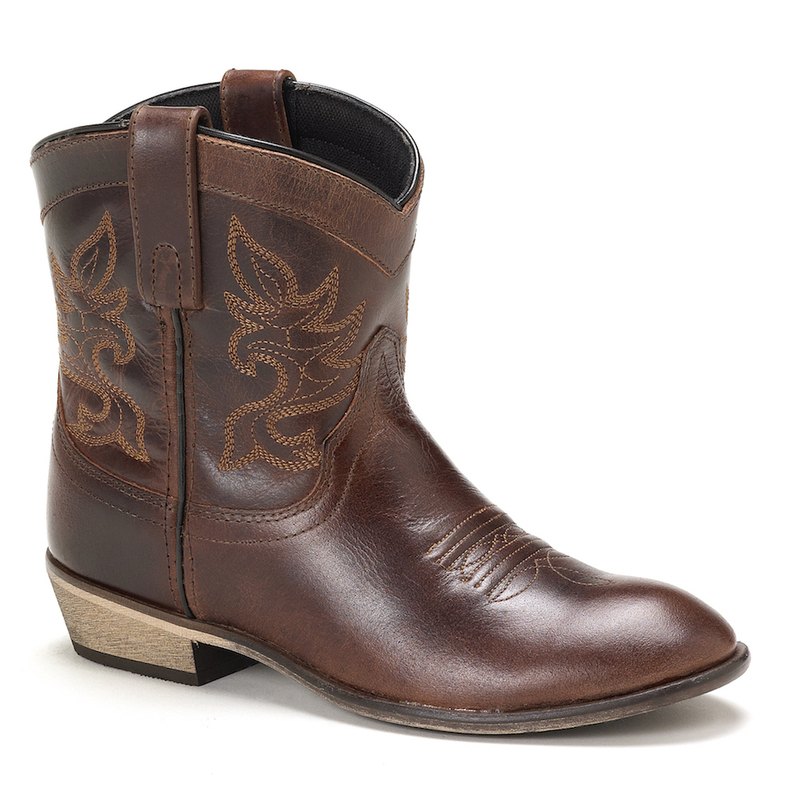 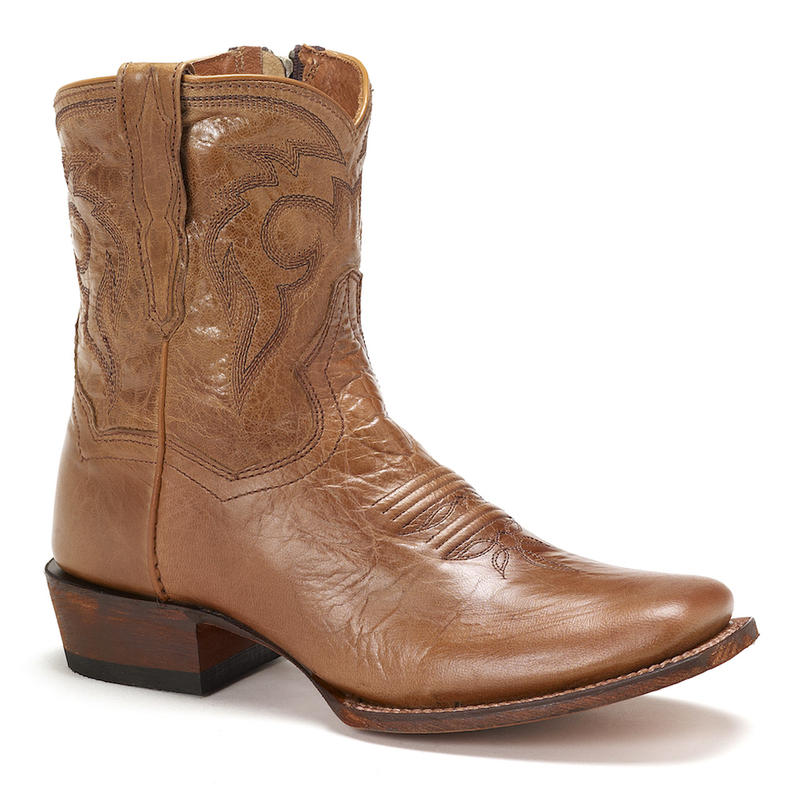 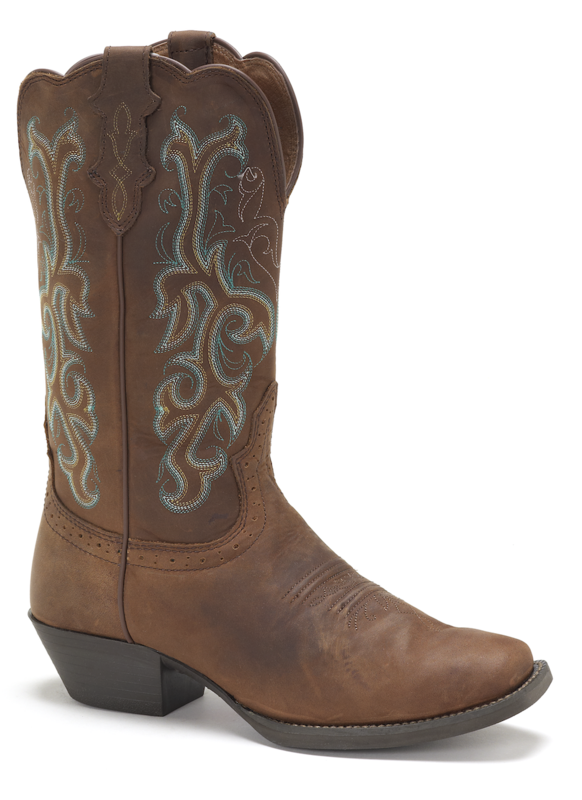 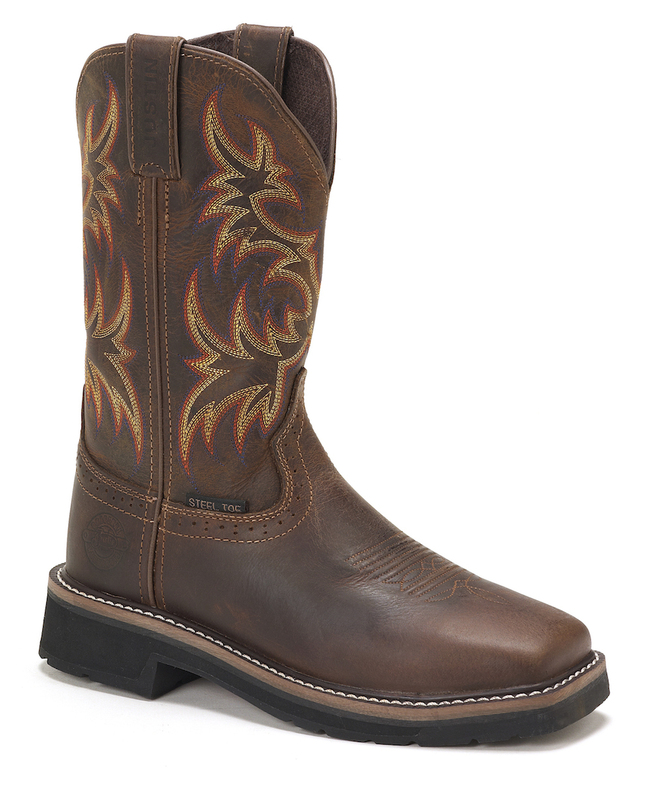 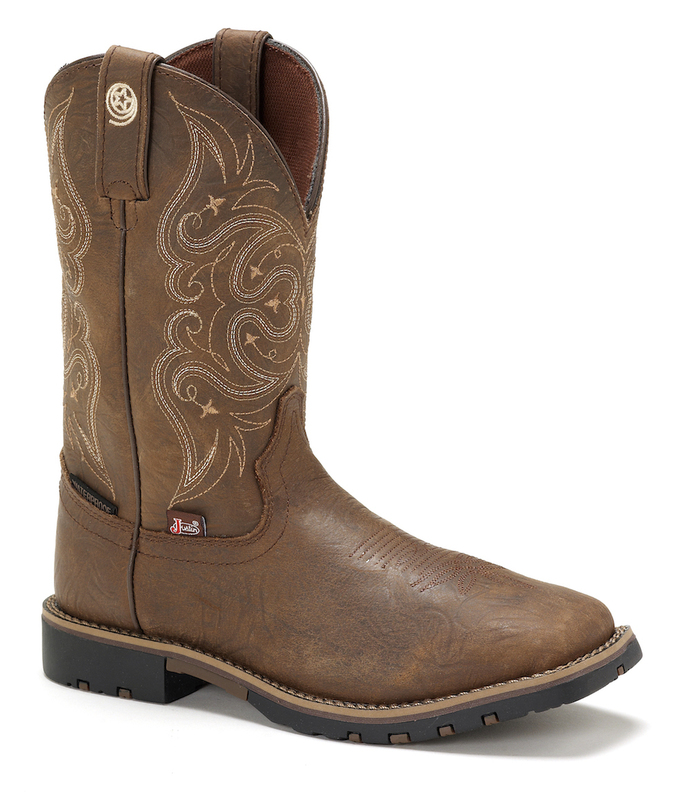 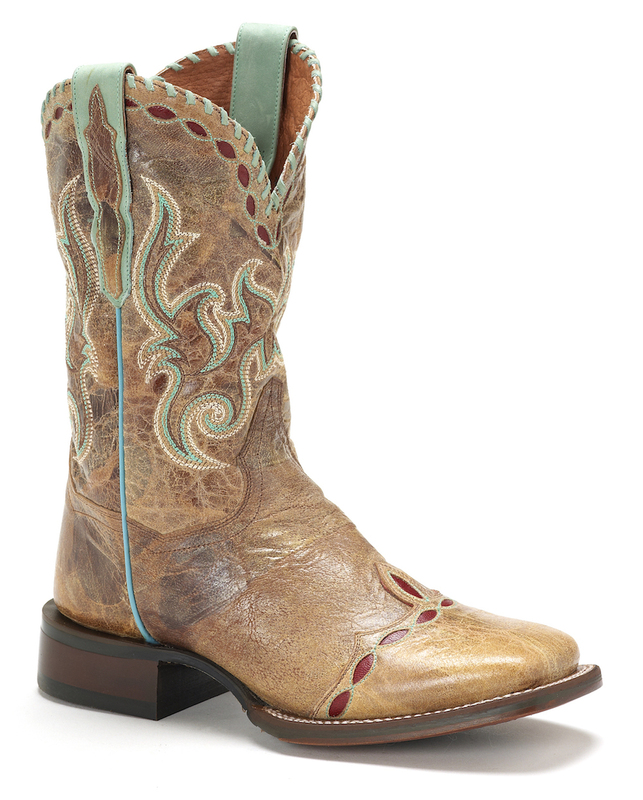 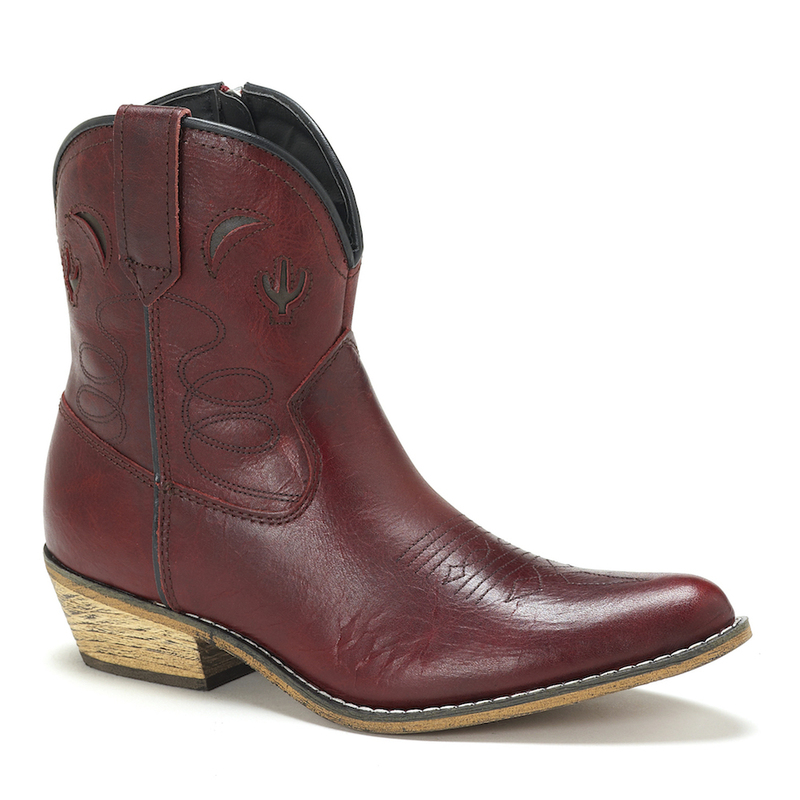 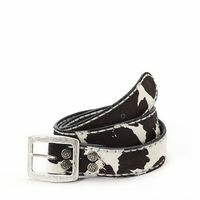 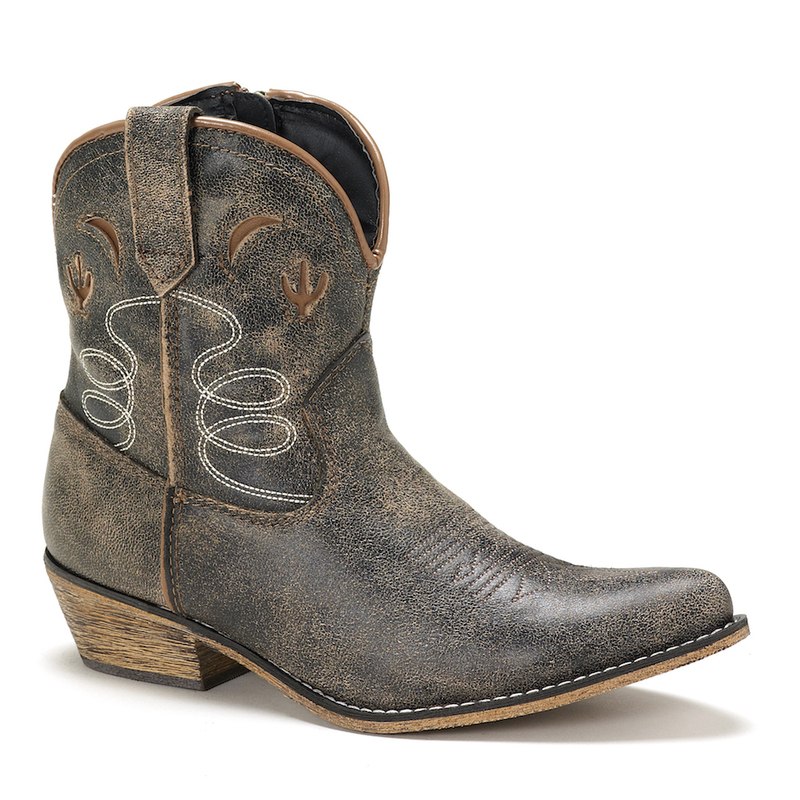 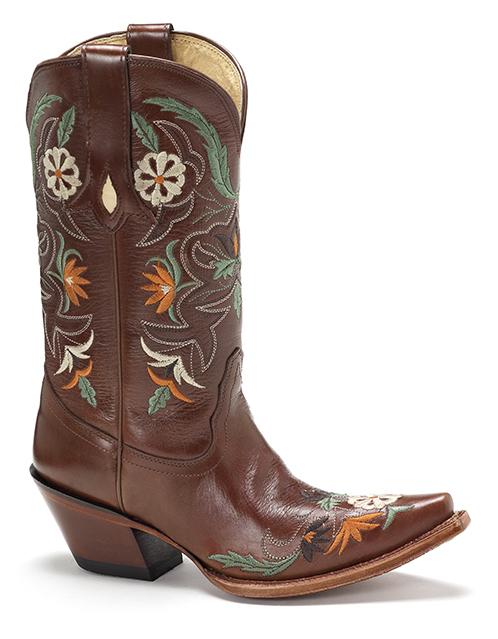 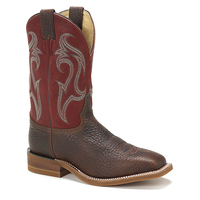 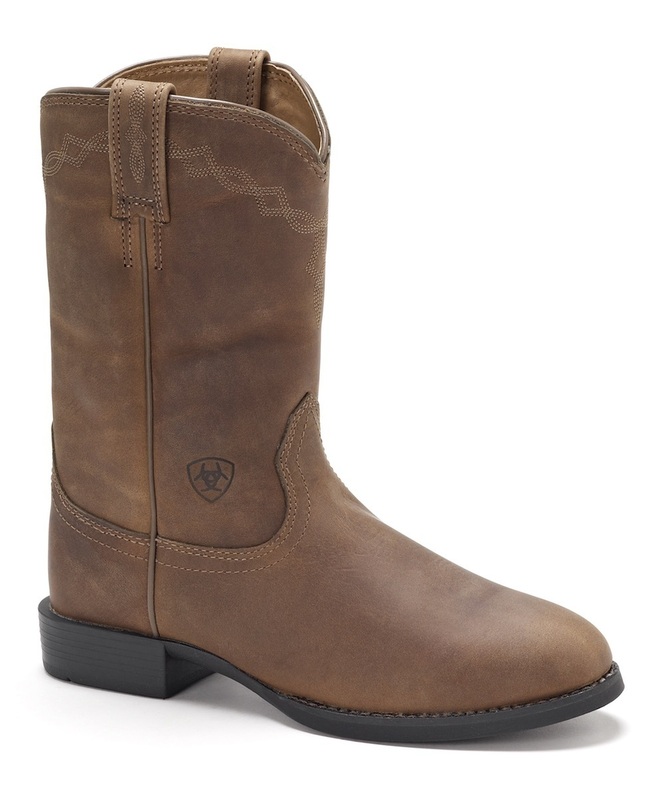 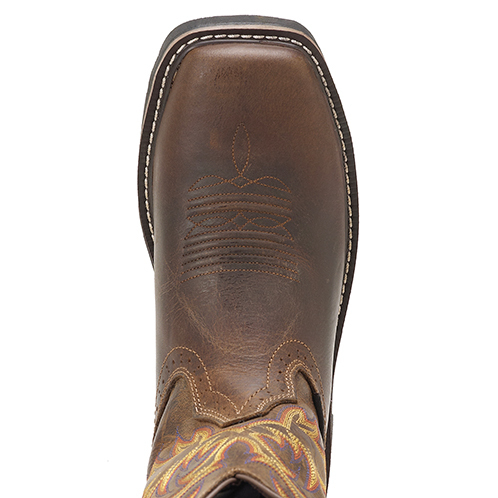 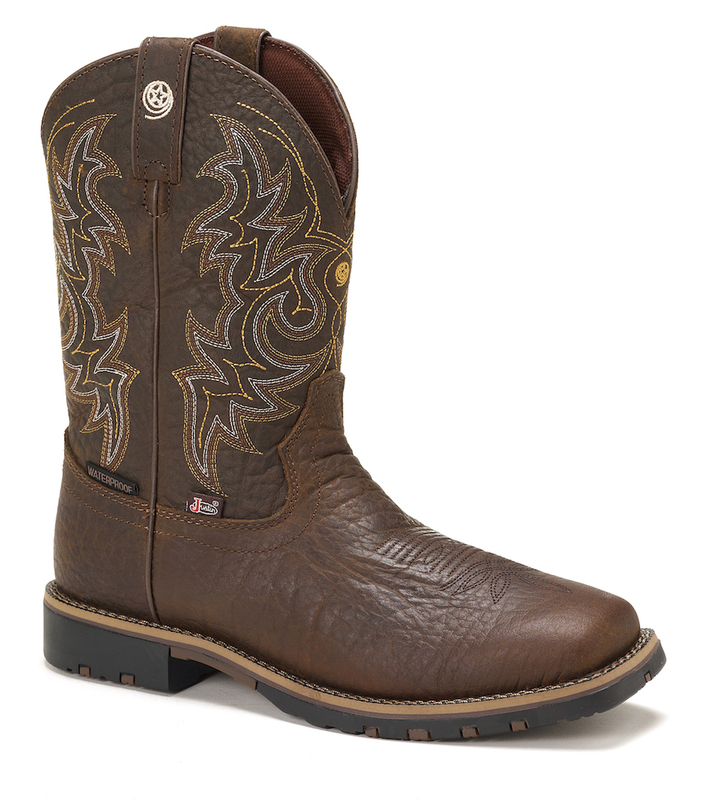 Its rugged golden brown leather exterior is embellished by a retro-themed yellow, orange, and blue stitch pattern giving this boot a vintage feel. 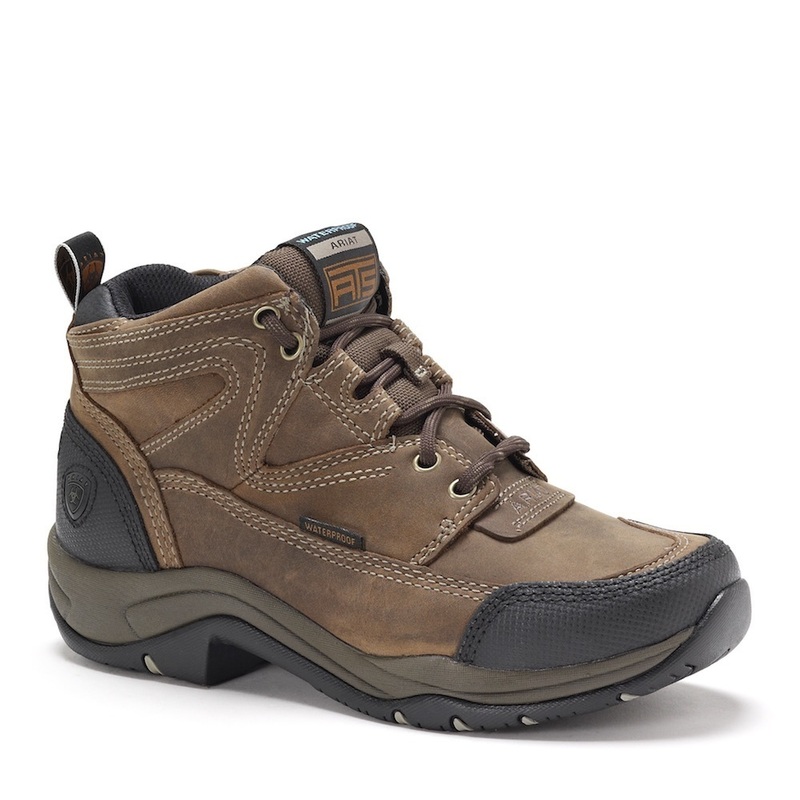 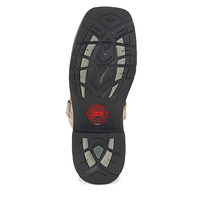 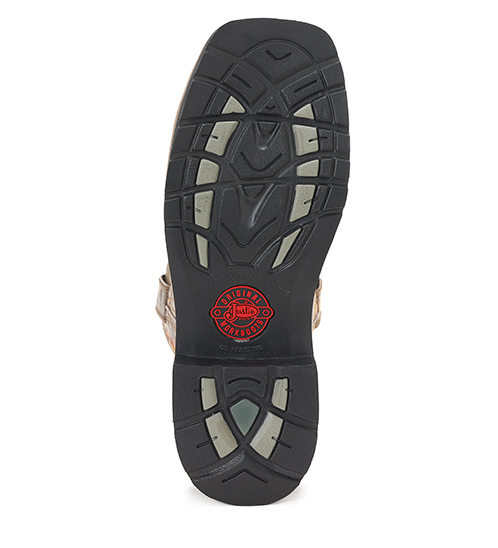 The square steel toe provides protection and impact-absorption so you can feel confident stepping on to any job. 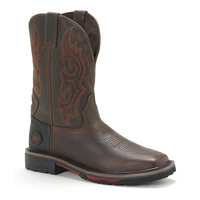 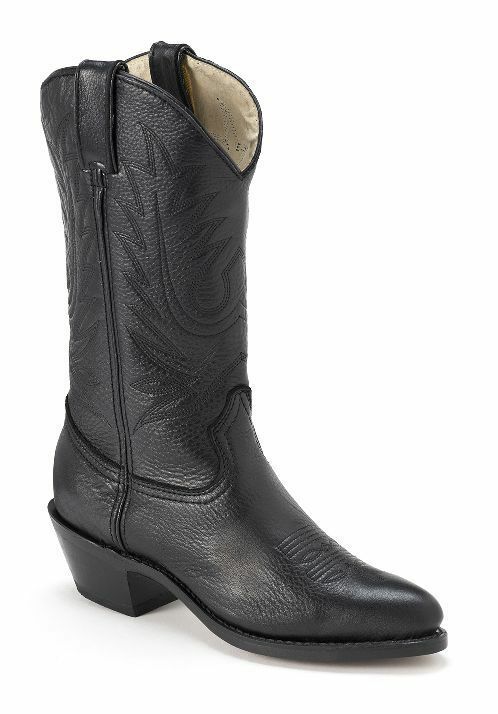 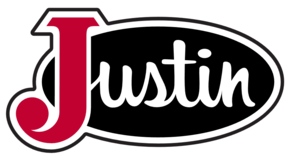 This boot also features the J-Flex Flexible Comfort System® insole that adds cushion and support and the Stampede™ rubber and EVA combination outsole with resistance to abrasion, chips, slipping, and marking which allows you to comfortably work on any surface.